We had our triple birthday party a couple weeks ago. Now, we only do a big birthday bash for the 1st birthday, after that we just do family. This year was a little more crazy though, 1st, 3rd and the big guy turning 30. While planning the party I had a few things that helped me save some money. It wasn't a cheap party by any means, but again for the 1st party we go big so I knew going into it that wasn't going to be super cheap. But as always, I love the challenge of finding unexpected savings as much as possible! Favors can be expensive. I know you can totally opt to do no favors, but they're always a nice touch. 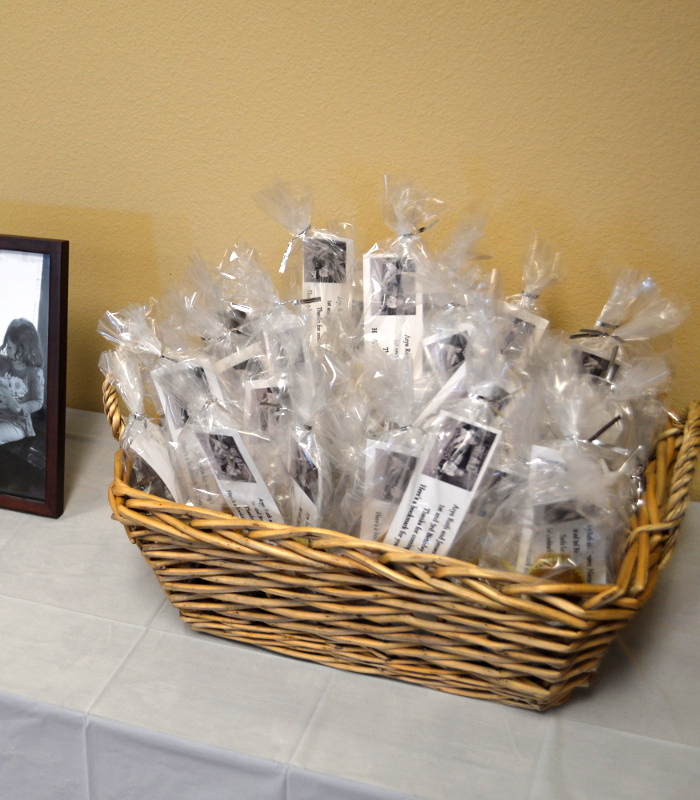 If you want to do something simple here's an alternative to more affordable favors. Our theme was READ, so making bookmarks was a great money saving option. I also wanted to tie in a little Curious George for the 3 year old, so I made banana bread mini muffins. Mini muffins went so much further than just regular muffins. I got 60 mini muffins out of 1 muffin recipe! Plus mini muffins are the perfect size for a favor. Here's a link to the recipe I used: cookieandkate They are healthy and delicious! Now this idea came from my church. Just a week before the party, our church had a mother-daughter tea party, which was so much fun! They had a beautiful photo shoot back drop using table cloths draped over a coat rack. I decided to do the same for our party. It turned out so great, thanks to my best friend and sister-in-law. They even added some balloons at the top for some added flair. What I love about this idea is we can save them and reuse them for future events. Also borrow, borrow, borrow. Borrow anything you can. I borrowed both of these chairs, which I'm so glad I did, the girls could sit on them and take pictures, making a really nice focal point for the room! I wanted to showcase the last 12 months for the 1st birthday celebration. 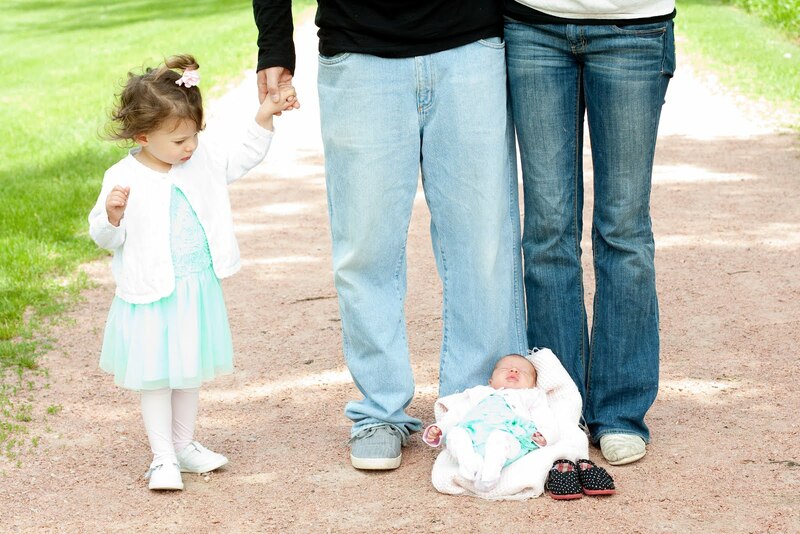 It worked out perfectly that I had Baby Girl take photos with Peanut throughout the year. 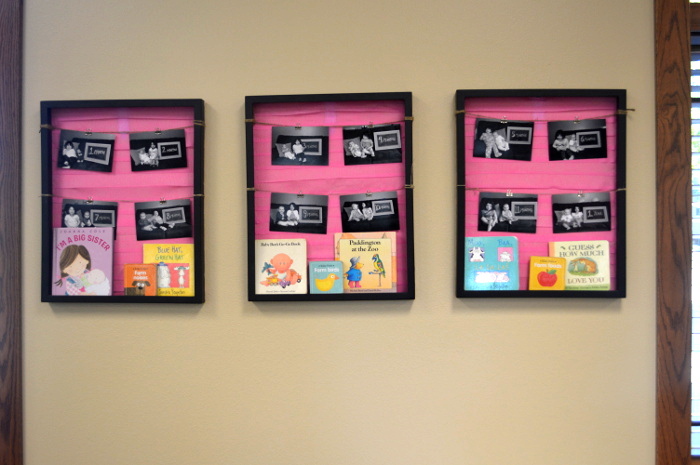 I had these frames at home that housed some different photos, but I just adapted them to work for the party. The frames at home were backless, so I just added some streamer paper to the back for the party. For this decor, the only cost was the photos. 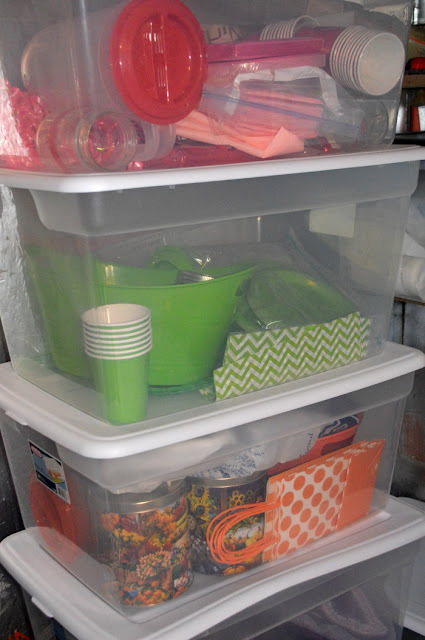 This is the best way to save some money on party supplies. Decorations can be so expensive. When my husband and I were walking through the party store I was amazed at what all you can buy for a party. I mean I have been in and bought stuff from party stores before, but now that I'm spending my own money and trying to spend less of it... it really clicked how much money one can spend on decorations. This one can be a little more expensive upfront depending on what it is. My husband and I print a lot of photos. 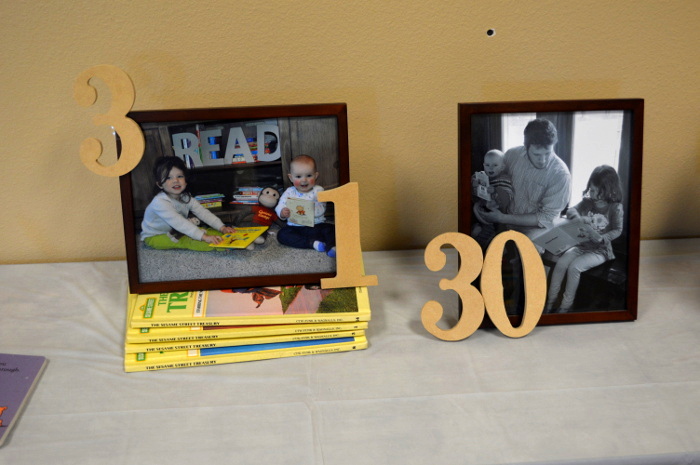 One of our great garage sale purchases was a photo printer that we scored for only $10.00!! It was in perfect condition too. We had to spend a bit more on ink, but we've already made our money back after only 20 8x10's. Having a photo printer came in handy for the party.I was able to print a bunch of photos without spending as much as I would have to print them somewhere else. 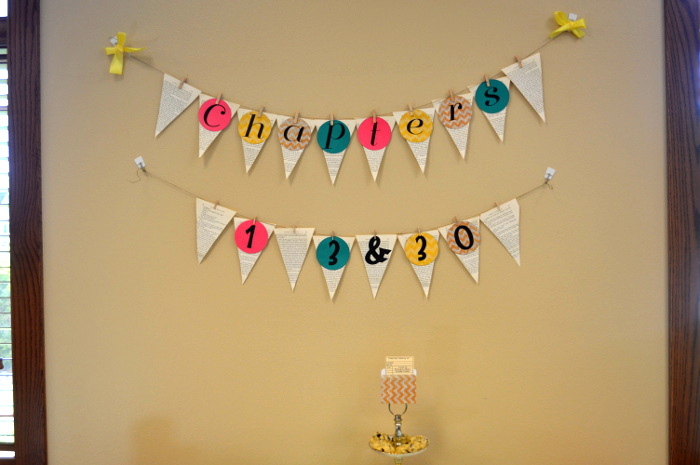 Plus it will have a lot of other uses whether it's my own decorating, for creative gifts or for other family events. Saving party supplies over the years helped a little. I still had to go out and buy a few extra plates, cups and napkins, but I had some to start me out. 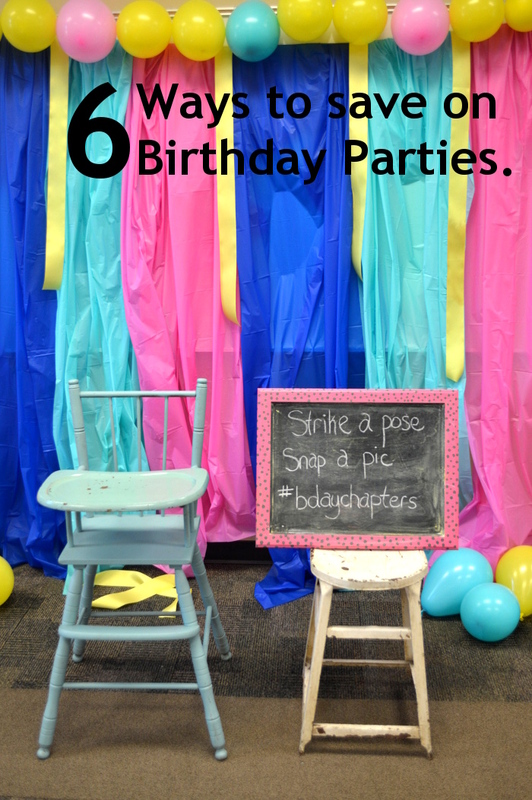 Check out my post on how to save on party supplies, here.